New layers of geopolitical and economic landscapes will be predominantly defining the nature of the relationship between the Islamic Republic of Iran and Turkey. For over 35 years, the Turkey-Iran relationship has been characterized by mutual rivalry and competition. Iran mainly viewed Turkey to be on the side of the West, while Turkey was concerned about Iran’s hegemonic ambitions in the region. While one is a secular state and the other a theocracy, they were still capable of carving out areas of cooperation when it was necessary. Nevertheless, the entrenched character of the Turkey-Iran relationship is changing and is increasingly being defined by three main concentric circles, which will be explored in this article. The major questions to address are how to define the nature of the relationship between these two powerful nation-states in the Middle East, as well as, whether the current nuances and complexities will be stretching the limits of Turkish-Iranian cooperation. The first concentric circle of tension, which has received less attention, scholarly work, and has been subject to political polemics, is linked to Iran-Turkey rivalry in the Kurdistan Region of Iraq (KRI). It is crucial to consider in detail Tehran’s role in the KRI since it can have severe repercussions on Turkish-Iranian relationships, potentially leading to a confrontation or further instability in the region. In other words, Turkish-Iranian competition in the KRI may significantly increase the acrimony between these two countries. The KRI already has formidable economic ties with the Islamic Republic. In addition, Iran has managed to strengthen its military and strategic relationships with the Kurdistan Regional Government (KRG). As KRI President Masoud Barzani has pointed out with regards to the battle against the Islamic State fighters: “Iran was the first country to provide us with weapons and ammunition.” Specifically, the Patriotic Union of Kurdistan (PUK), which is located mainly in the south and east of the KRI, enjoys Iran’s military, financial, and political support. Turkish-Iranian competition in the KRI may significantly increase the acrimony between these two countries. Iranian leaders have attempted to increase their influence in Iraq through various alliances, while limiting the amount of clout Turkey has over regional dynamics. In addition, by increasing their influence in the KRG, Iranian leaders are attempting to increase their leverage against Ankara and force Turkey to reshape its policies opposing the Islamic Republic. As a result, Iranian support for the PUK can be viewed as a national security threat to Turkey. Since Iran is less likely to shift the fundamentals of its foreign policy towards the PUK – even after the implementation of the nuclear deal and the lifting of the United Nations Security Council’s sanctions – this layer of tension will continue to strain Iranian-Turkish ties. Nevertheless, it is crucial to point out that the Ankara-Tehran rivalry in the KRI is not the sole parameter that defines Iran-Turkey relationships. This tension interacts with and sometimes contradicts the concentric circles described below, ultimately shaping the nexus between Tehran and Ankara. The second concentric force which adds complexity to the geopolitical rivalry and competition between Turkey and Iran is linked to the Syrian conflict and the fate of the Alawite-dominated government of its President Bashar al-Assad. The common and shared strategic and geopolitical goals between the Islamic Republic and Syria have driven Turkey and Iran further away from each other in the last few years. Iran continues to view Assad’s government as a crucial platform geopolitically, strategically, and geographically to both create and support other Shiite proxies in the Middle East, such as Hezbollah. Iran also continues to utilize Syria as a conduit to deliver weapons and train its proxies. From the viewpoint of the Iranian leaders, if the government of Assad is overthrown in Syria, the regional balance of power will tip against the Islamic Republic and in favor of Turkey as well as other Sunni majority countries such as Saudi Arabia, Kuwait, and Qatar. Since the majority of the Syrian population are Sunni (85 percent of the population in Syria is Muslim; 72 percent of that is Sunni), Iran fears that a Sunni-majority government will replace an ousted Assad. Iran’s Revolutionary Guard Corps’ (IRGC) intervention in Syria – in the form of financial, military, intelligence, and advisory assistance – has strained relations between Ankara and Tehran. Ideologically speaking, they differ as Turkey is a secular state with a secular constitution, whereas Iran has a theocratic political government. Turkey has always been concerned about Iran’s attempts to export its Shiite and revolutionary ideals, to alter the regional order, and tip the regional balance of power in favor of the Revolutionary Guard. There is a history of competing strategic, ideological, and geopolitical interests and traditional rivalry (Persian versus Turk and Sunni versus Shiite) between Iran and Turkey. With the current nuclear deal, the Islamic Republic is more hopeful that it can support the Syrian government by receiving further financial incentives from selling oil and gas, as well as gaining access to over 100 billion dollars worth of assets. On the other hand, the Turkish government’s relationship with Syria has moved in the opposite direction. It has gone through several deteriorating phases. First of all, through dialogue, diplomatic meetings, and negotiations, Recep Tayyip Erdoğan attempted, when he was Prime Minister, to persuade the Syrian government and Assad to implement socio-political and socio-economic reforms. In the second phase, as the conflict continued and as the flow of refugees increased, Erdoğan warned the Syrian government and its president that Damascus was unable to resolve the conflict. Turkey then cut off its diplomatic, political, and economic ties with the Syrian government. From the Iranian leaders’ point of view, Turkey became the major hub for hosting Syrian groups which oppose Assad as well as the Iranian government. The Turkish government’s diplomatic, strategic, geopolitical, and economic relationships with the government of Syria will continue to be strained as long as Assad is in power. On the surface, tensions and rhetorical disputes between Ankara and Tehran are escalating. Recently, President Erdoğan accused Iran of attempting to dominate the Middle East. Iranian lawmakers also put pressure on Iranian President Hassan Rouhani to stand more forcefully against Turkey’s actions. Will this heightened rhetoric lead to a major dispute or a military stand-off between the Islamic Republic and Turkey? The aforementioned second concentric circle of geopolitical and strategic tension will continue to increase suspicion and competition between Tehran and Ankara. Nevertheless, the issue that will continue to make Iran and Turkey two odd bedfellows is the third concentric circle of converged interests. None of the aforementioned critical disagreements and geopolitical rivalries is going to lead to a major military confrontation or severe ties between Tehran and Ankara. The major reason for this is that Turkey is in desperate need of oil and gas, and Iran is in need of Turkey’s cash. This economic convergence of interests contradicts and interacts with the other layers, but more fundamentally neutralizes some of the excesses which could potentially lead to major confrontation between the Islamic Republic and Turkey. Iran and the six world powers (known as P5+1: China, France, Russia, the United Kingdom, and the United States; plus Germany) reached a historic nuclear deal which was implemented in late January 2016. According to the terms of the nuclear agreement, the implementation means several things. First, Tehran will get major relief from sanctions imposed by the United Nations Security Council (UNSC) as well as unilateral Western sanctions. Secondly, Iran will receive roughly 90 billion dollars as European countries lift sanctions on major industries such as gold and metal. Third, the US will remove major Iranian entities and individuals from the sanctions list. Finally, Tehran will re-enter the international banking and financial system, and will be able to sell oil on the global market as the related sanctions will also be lifted. Economically, the major regional beneficiary of the [Iran] nuclear deal is Turkey. Economically, the major regional beneficiary of the nuclear deal is Turkey, which is a key customer for Iranian oil and gas as Iran is Turkey’s second largest supplier of gas. Turkey hopes that lifting the sanctions will bring Western and Turkish companies to invest in Iran’s gas infrastructure in order to speed up production. (One way that Turkey could decrease its energy dependence on Iran is if Qatar provides Ankara with the needed gas supplies). Turkey is trying to position itself as the major energy hub between European countries and Iran in terms of oil and gas exports. This will minimize the cost of the expensive gas contracts that Turkey is currently paying to Iran. Prior to the Arab Spring, Turkey voted against imposing new sanctions on Iran via a UNSC resolution. Using different methods of payments, such as gold, will also help Iran circumvent economic sanctions. Moreover, both countries have significant trade partnerships in other areas as well. Trade between Ankara and Tehran has risen to approximately 14 billion dollars in 2014. As Rıza Eser, chairman of the Turkey-Iran Business Council, pointed out, Ankara is attempting to increase trade with Tehran to up to 30 billion dollars within two years. Turkey, China, and United Arab Emirates are Iran’s top three trade partners. Ankara is trying to perform a balancing act between Iranian hardliners and moderates, and often softens its rhetoric because it is cognizant of the fact that Iranian hardliners – such as the Revolutionary Guard Corps – do not want to completely give their monopoly over the energy sector to Western and Turkish companies, and view Turkey with suspicion. Because of the last concentric circle, Turkey and Iran will continue to reconcile their geopolitical differences by carefully analyzing and understanding each other’s priorities. The deep-rooted suspicion and competition between Turkey and Iran has grown in recent years. Several factors have played a crucial role in intensifying this rivalry, which are linked to the geopolitical strategies of these two countries. Nevertheless, the economic convergence of interests as well as the lifting of sanctions on Iran appears to have ushered in a new era of cooperation between Ankara and Tehran. The recent heated rhetoric between Turkey and Iran will not flame up into a major dispute. Since the 1639 Treaty of Qasr-e Shirin, Iran and Turkey have maintained their relations, and they have managed to settle their profound geopolitical differences mainly due to the convergence of economic interests. More fundamentally, the lifting of sanctions on Iran will bring Ankara and Tehran closer together due their shared economic interests. What defines the character of Iranian-Turkish relationships is the interactions, contradictions, and unintended consequences among the aforementioned three major concentric circles. 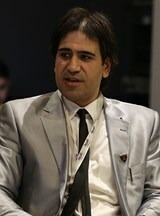 Dr. Majid Rafizadeh is an Iranian-American political scientist and a Harvard University scholar. He is the President of the International American Council, serves on the board of Harvard International Review, and is also a member of the Gulf project at Columbia University.